I would like to adress myself to people in Switzerland. Exhanging spores with foreign countries becomes more and more painful and expensive. I therefore would like to know if we can start something within Switzerland. Sporen zu tauschen mit Nachbarländern oder International wird immer teurer und schwieriger. Ich suche deshalb Leute aus der Schweiz und frage mich ob wir nicht ein Tauschboard oder so organisieren könnten. Wasn't the Azurescens Foundation Swiss? I haven't checked on them in years but I'm pretty sure. We got spores from them once. 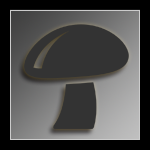 Spread the word about topia and I am sure you will find folks wanting to trade spores with in your country. Prints are so easy to envelope and mail - cultures are another story, as you mention. Yes, the easiest way is to connect to an international exchange community and send it in envelopes. Once I stumbled over s site where you can send cash and you'll receive a print, maybe it's worth a shot of trust? Ps. : Isch zwar scho es wyli här dini aafrog, aber viellicht gits en wäg, wie mir uns chönne zämme tue? Ich wä au interessiert an ustusch vo info, meinig und könne... und so! So how does one go about making vip here? Do you have to buy in to make it to vip status? When I become a VIP , I went to make a Donation and payed $20 through paypal in the message mention VIP. I can tell you its the best thing a guy can do, helps the site and will pay for its self the first trade. I have been sent some of the hardest to get spores and more. Also, here's a link to our VIP memberships. The best part about it, is there are benefits like Mycochat. We have a couple of options that are affordable.